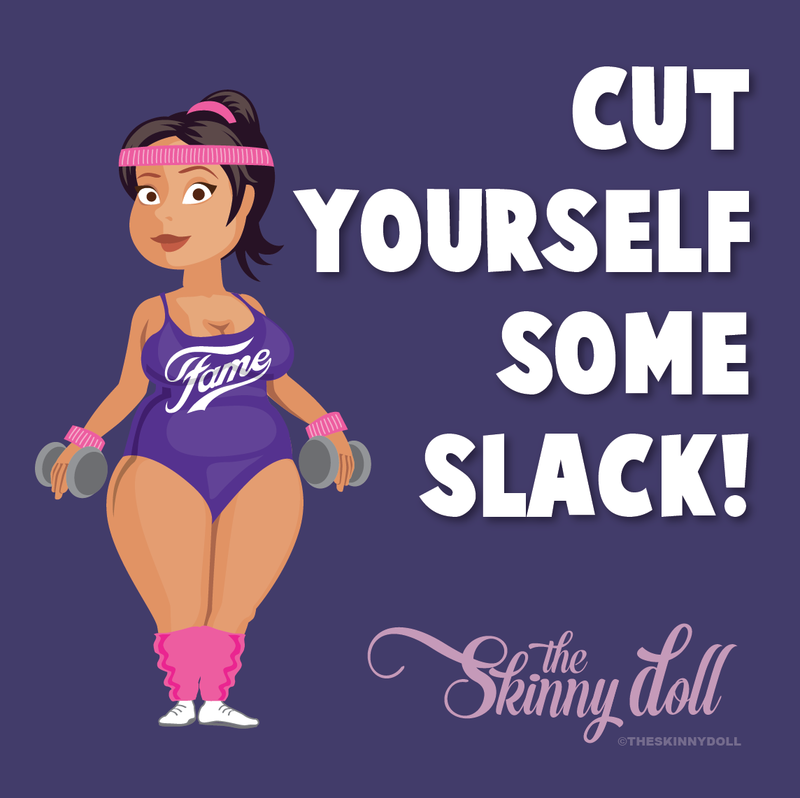 The Skinny Doll: Give yourself a break! Ever get overwhelmed by it all... just remember healthy living is a skill to work on and improve at, not something you should expect to be great at from day one! Most of us have spent years working on emotional eating or a bad relationship with out bodies / food... Most of us haven't worked out or stepped inside a gym in years for lots of different reasons... Mine is shame, I know, I'm the positive one around her but the experiences I've had in gyms in the past have meant I won't darken the door of one! If you haven't exercised for a long time, it takes time to get going... no one ever just got up from the couch and ran a marathon without training or knowing just how far they could push their bodies... Take a little extra care to get your body moving and more active... Start slowly with everyday tasks, walk around the block for 10 minutes, get out in the garden and start tidying up... then gradually increase the amount of time you spend doing these things! What starts as a 10min walk on the first day can build into a half an hour in a matter of weeks but as they say, don't run before you can walk!